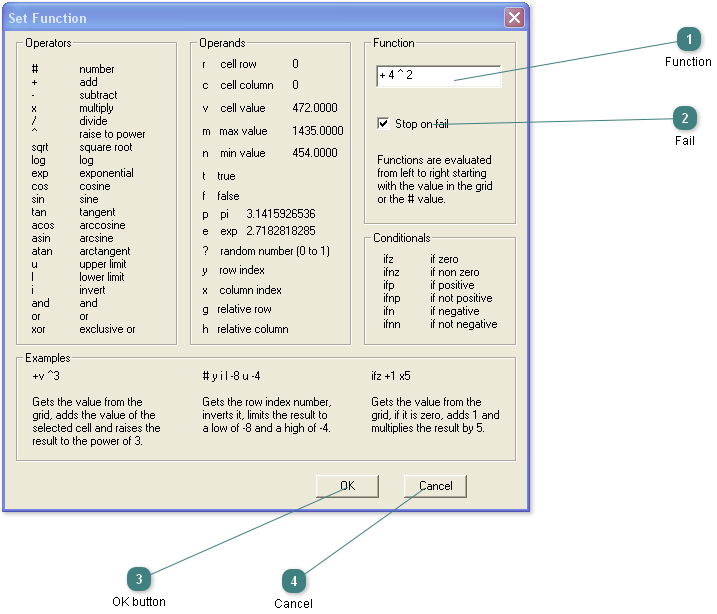 The Set Function dialog is opened using the grid, right click, context menu. Functions can be used on cells, rows, columns or entire grid ranges. Stop the function if any failures occur. Press the Cancel to reject all the settings and close the dialog.